Lightweight, reliable and dual deployment options best describes Buck Knive's Bones Folding Blade. This hightech frame-lock knife has a skeleton frame, stainless steel blade with a 2-hand deployment groove and a handle with lightening holes and grip orientation points. Lanyard hole for easy attachment. Lightweight, reliable and dual deployment options best describes Buck Knive&apos;s Bones Folding Blade. 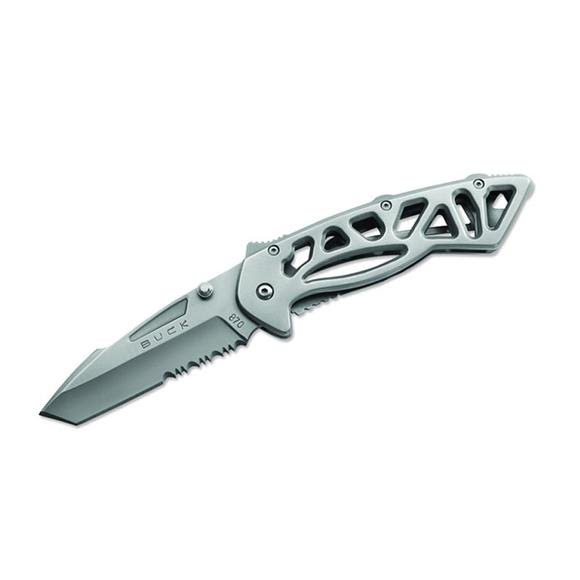 This hightech frame-lock knife has a skeleton frame, stainless steel blade with a 2-hand deployment groove and a handle with lightening holes and grip orientation points. Lanyard hole for easy attachment.